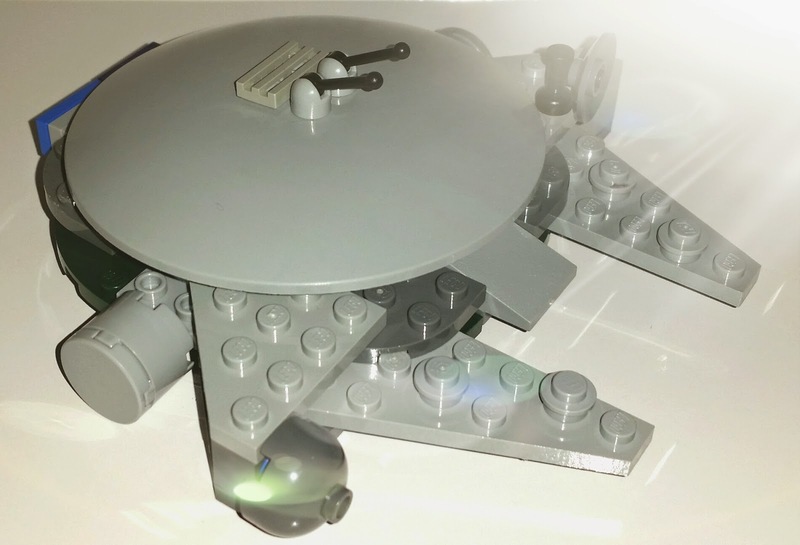 If this looks somewhat familiar to you, that could be because I based it on set 4488 Mini Millennium Falcon. We don't own the set, so there was a good deal of hacking to put this together. 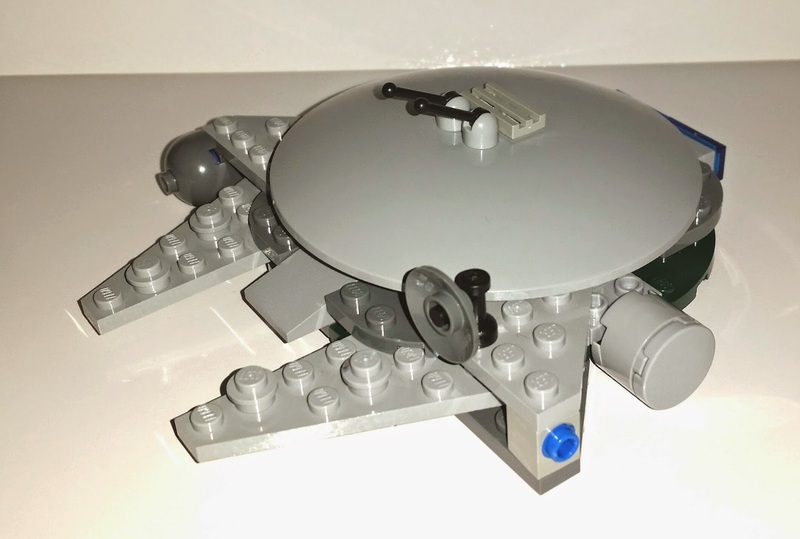 What you can't see is what's on the inside: Lego has maddeningly detailed instructions for some of its builds, which require you to build a whole bunch of detail into the inside of the build that you never actually see! I could have probably cut my 2 hour hunt-and-build time significantly if I'd noticed that from the beginning. Lesson learned!